Description: This is a stunning trilobite of genus Harpides that as of 2015 has not been formally described. However, it morphologically closely resembles Harpides grimmi from the Millina formation in the Czech Republic described by the famous paleontologist Joachim Barrande in 1872 as Dictyocephalites grimmi. 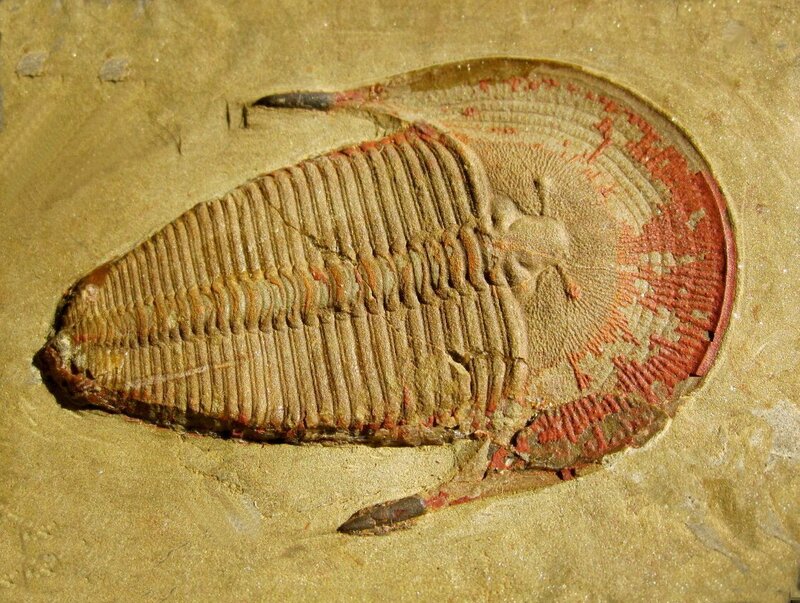 Trilobite Order Harpetida was not erected until 2002, when it was split off from Order Ptychopariida in which it was Suborder Harpina. Harpetids are now mostly considered to be descended from the Ptychopariids sometime in the middle Cambrian. 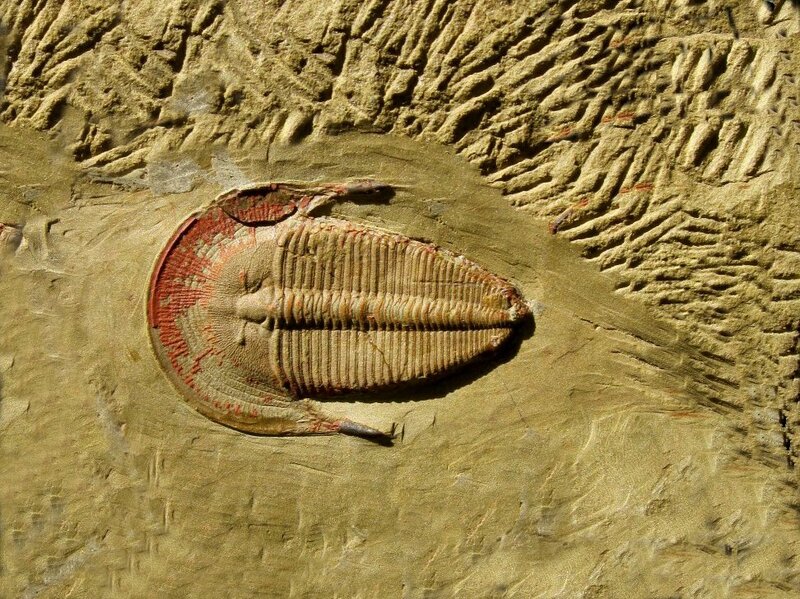 Harpetida is the least diverse of all the trilobite orders by a wide margin, with but three families represented. 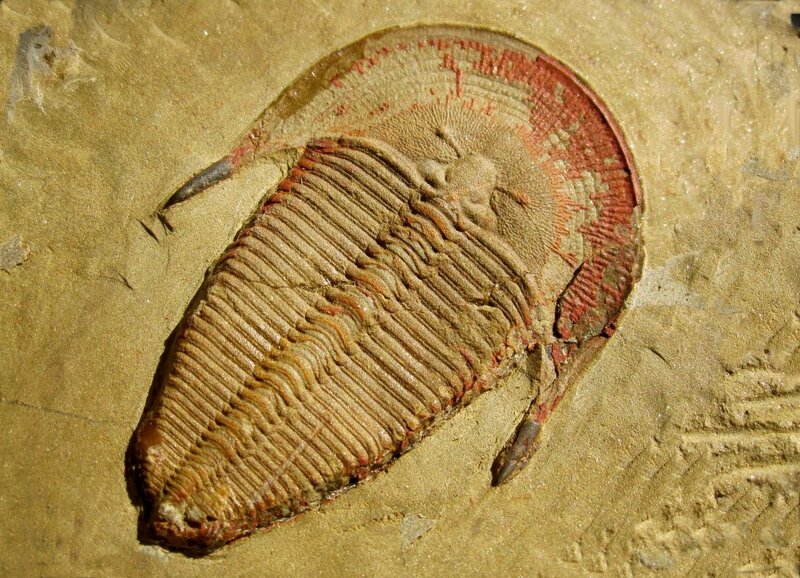 At the trilobite order level, the Harpetids are generally also the rarest. This beautiful trilobite comes from the Lower Ordovician Fezouata Formation of Morocco. Trilobites from this site only emerged after collecting commenced in 2010. The site is noted for preservation in browns and shades of red due to diagenesis processes during sedimentary rock formation. Fossils from the site also vary in surface texture from fairly smooth to that of coarse sandpaper, with the smoother fossils retaining more fine details. This particular specimen exhibits superior preservation for the Fezouata Formation, as seen in the very fine details and articulation of both the cephalon and pygidium. Note how wide is the cephalon brim that contained the ports for its filter feeding lifestyle. Also not its small pygidium.